Well actually, thinking about it, it’s because I’m finally realising that whether you prefer the big brow look à la Cara Delevingne or natural but defined eyebrows, they frame the face and it’s important to get it right, so I’ve found myself experimenting a bit more in this area. Now, I’m no way an expert and for overall shape I rely on getting my eyebrows threaded regularly (but that still doesn’t stop me from plucking out one too many hairs much to the annoyance of the lady threading my eyebrows….oops) and the rest of the time I alternate between these products below depending mostly on how much time I have in the morning, which usually is very little! Going from top to bottom, first there’s the Soap & Glory Archery 2 in 1 Brow Filling Pencil & Brush. At £8 this is a bargain and its fine nib is great for that extra precision and drawing in really fine hairs. The spooley at the end is an added bonus but the main negative is that it only comes in 2 colours, Blondshell and Hot Chocolate. I use the shade Hot Chocolate but sometimes I find this a bit too dark. The Hourglass Arch Brow Sculpting Pencil is the one that I am turning to on most days as it gives the most natural yet groomed look. The product combines a pencil, wax and powder and is angular in shape but this does wear down with use. The waxy formula helps keep your brows in place and again with a spooley at the end it’s a win win for me. At £26 though it isn’t cheap, but I’ve had mine for over 3 months now and I’ve still got more than half of the product left. There are 3 colours to choose from, Blonde, Soft Brunette and Dark Brunette. I have the shade Dark Brunette and it is the perfect colour match for me. The Nars Brow Perfector at £16.50 is also good for drawing in very fine hairs. I find it takes a bit more work though and I don’t like the fact that it doesn’t come with a spooley so I wouldn’t repurchase this again. That said, the colour is ashy enough to give a natural finish which I like. There are 4 colours to choose from and I use the shade Caucase which is described as a neutral brown. Lastly is the L’Oreal Paris Perfection Brow Artist Plumper at a bargain £5.99. This is a brow gel mascara which I sometimes use on its own or for days when I do want that added drama, I use it on top of my eyebrow pencil. 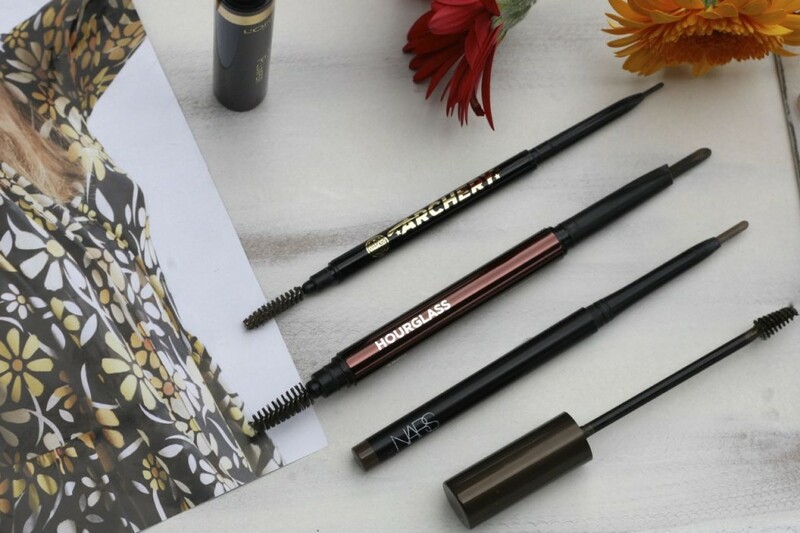 The formula is designed to volumise your brows but I just use it with a light hand and I like the fact the wand is small enough and picks up the perfect amount of product to allow you to do this. It has the added benefit of keeping your brows in place too. I have the shade Dark Brunette and it also comes in Blonde and Transparent. 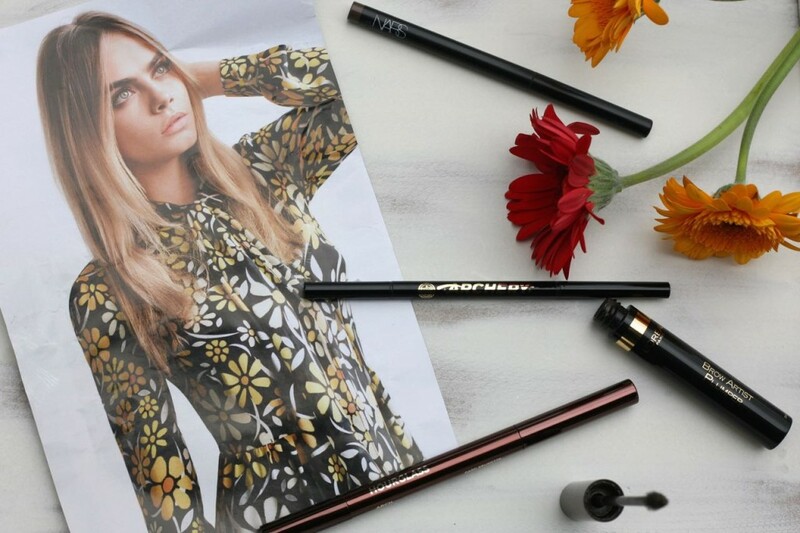 If I was to name my favourite then it would be the Hourglass pencil but I’m not gonna lie, as I’m writing this there are already a few more eyebrow pencils I’ve put on my wishlist. The much famed Anastasia Brow Wiz and the Bobbi Brown Perfectly Defined Long-Wear Brow Pencil are two products I really want to try but I just need to finish these off first. It’s taking ages but I guess I’m getting my monies worth!